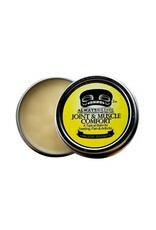 A topical balm traditionally used for swelling, pain & arthritis. A concentrated infusion of 7 whole herbs most recommended by herbalists and alternative healers, including wintergreen essential oil for more immediate pain support and improved flexibility and white willow bark which was the first use of Aspirin in the 1800s. 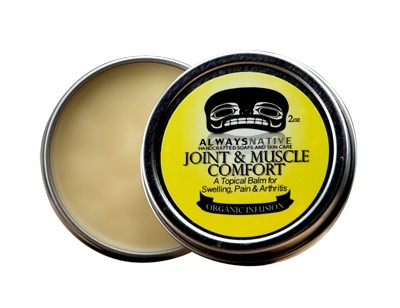 Recommended for those with arthritis, fibromyalgia, and injuries. Ingredients: sunflower oil, beeswax, comfrey root extract, St. John's Wort root extract, arnica extract, jojoba seed oil, white willow bark extract, yucca root extract, devil's claw root extract, black cohosh root extract, wintergreen essential oil.